Parasitic on a great diversity of hosts, in Michigan including species of Cephalanthus, Sambucus, Amphicarpaea, Spiraea, Salix, Equisetum, Boehmeria, Populus, Lycopus, Lythrum, Stachys, and a number of Asteraceae. 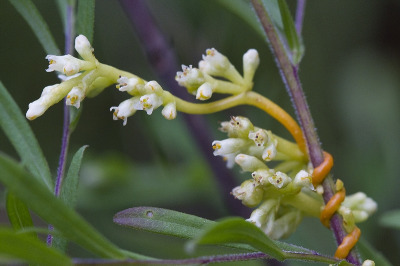 The fruit and styles somewhat resemble those of C. coryli, but the perianth is not papillate. MICHIGAN FLORA ONLINE. A. A. Reznicek, E. G. Voss, & B. S. Walters. February 2011. University of Michigan. Web. 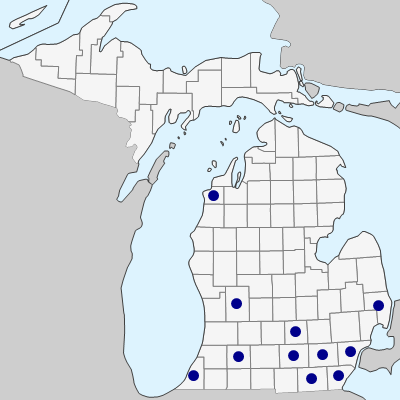 April 21, 2019. https://michiganflora.net/species.aspx?id=851.